DataCare provides software solutions primarily for workers’ compensation claims organizations and for companies that serve them, such as managed care and bill review companies. The Ahshay® Platform consists of five modules which can be used together or as individual stand-alone programs. These modules streamline and automate the process of the workers’ compensation claims organization. The modules include: Medical Process Manager, Case Management, Utilization Review (“UR”), UR Enforcer™, and UR++. Data is transferred from the user via electronic data interface or EDI, to the Ahshay Platform to be processed. The Medical Process Manager allows the user to manage and track all claims through each step of the workflow. The Nurse Case management tool is for nurse case managers to track their cases. The UR review software allows the tracking of jurisdictional turnaround times. The UR++ tool streamlines the request-for-authorization allowing for automatic adjudication and approval or electronic submission to UR. UR Enforcer identifies and notifies the bills that have not been approved, or that did not match their corresponding UR and bills that have not been submitted to UR. The Ahshay Platform is a SaaS product that is hosted on DataCare servers. The cloud based system is accessed over the Internet and opened on a web browser. Customers are responsible for user stations, web browsers, Internet connection, and any additional services or hardware to access the system. 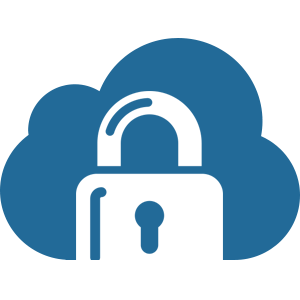 For further information regarding how we operate, handle security, or handle customer data, see DataCare’s commitments to security, availability, confidentiality, and processing integrity here. Users should report operational failures, incidents, problems, concerns, and complaints with the Support Ticket feature in Ahshay. Self-administering user entities are responsible for managing their own user controls and escalating issues to DataCare in Ahshay. User entities that delegate their ticket support to DataCare will have tickets managed by the DataCare help desk.